It’s gonna be raging laughfest! But that’s not all. Should you feel the night is not hot enough stay for the post-Hot Tub bonus show. 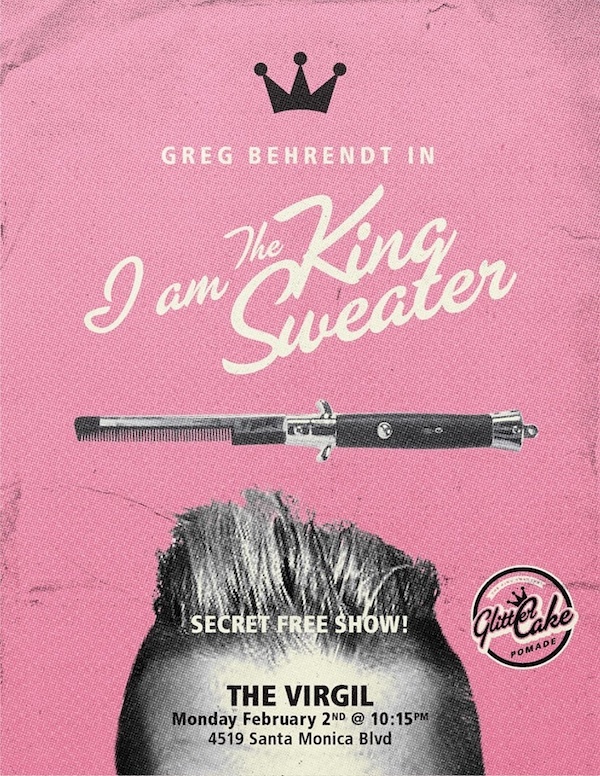 You can catch a sneak peak of Greg Behrendt’s (Walking The Room) solo show I Am The King Sweater for FREE! It’s a double header to beat all others.